It can be surprising how quickly junk can pile up over time. 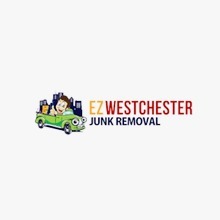 If you are not in a position to remove your waste, you should call EZ Westchester Junk Removal. We are experts in the business and we serve both individual and commercial clients. Our team has years of experience and proper equipment to remove any type of waste. We always come prepared and in the shortest possible time to do the job efficiently and professionally. Last, but not least, we provide affordable rates and honest pricing. That means you will get a free estimate before we start working and that will also be your final price. If that sounds like a good deal, make sure to call our company in Westchester right away and get your free quote!